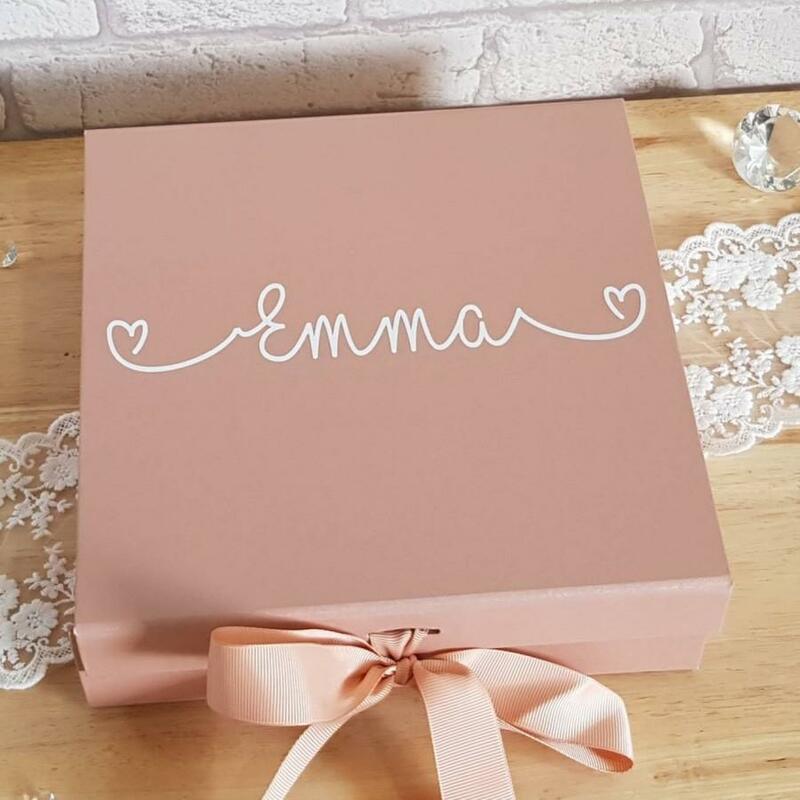 This beautiful personalised gift box comes in a gorgeous rose gold (pictured), white and black. It also comes in 2 sizes, medium (8.5 by 8.5 inches, 2.5 inches deep) and large (12 by 12 inches, just under 3.5 inches deep) which you can choose from the drop down menu when ordering. The box is personalised with the name of your choice in the colour of your choice. The box has a magnetic snap shut mechanism and also a matching ribbon to tie.